We just started accepting Student Leadership applications again and we could not be more excited! For the last 2 years we have been using the same application, so we decided to give it a face lift and add a few things we thought were important. We made the mistake last time of making our application on Photoshop, so editing it was a total pain! This time, we made it on Word. It’s pretty long, but it separates the serious, committed students from the “on the fence,” floater students. 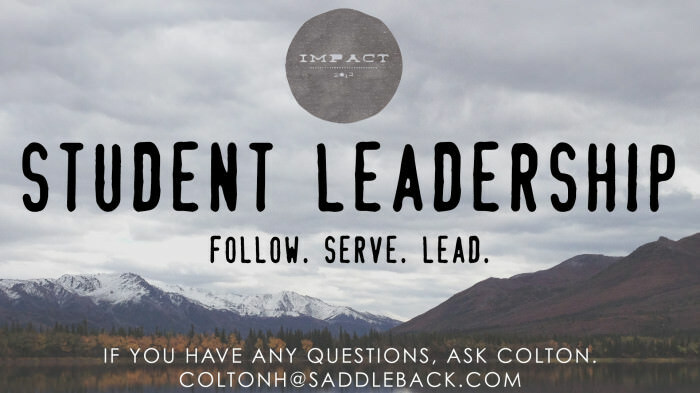 I am so excited to see who might be joining our Student Leadership team this next year! I attached two versions of it to this post, the PDF and Word.doc. Depending on what version of Word you have, the formatting might be a little off when you open it, but feel free to edit or mess with it and make it your own! The PDF one, however, should be formatted perfectly!